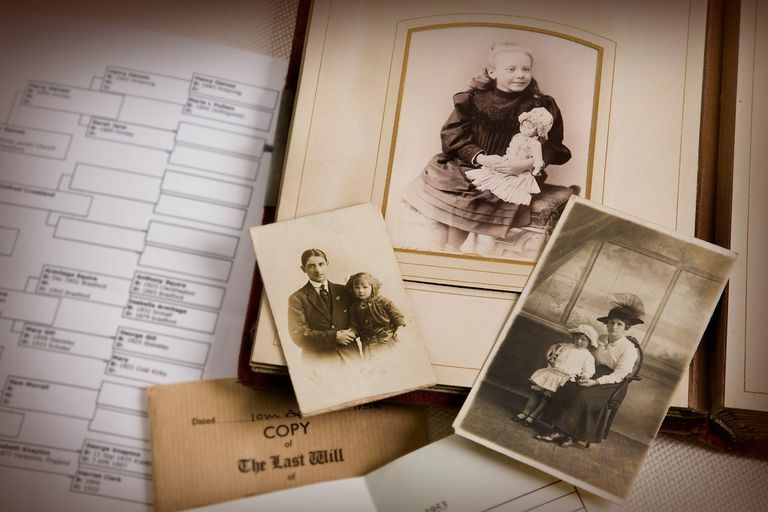 Whether your ancestors came from Argentina, Scotland, the Czech Republic, or Montana, you can access a wealth of genealogical records online at FamilySearch, the genealogy arm of the Church of Jesus Christ of Latter-day Saints. It has a wealth of indexes available through its free Historical Records Collection, which includes more than 5.57 billion searchable names in 2,300+ collections from countries all over the world, including the United States, Canada, Mexico, England, Germany, France, Argentina, Brazil, Russia, Hungary, the Philippines, and many more. However, there's a lot more data available that's not searchable via a keyword, which is where the huge trove of historical document images come in. There are so many records online at FamilySearch now that a general search often turns up hundreds if not thousands of irrelevant results. You want to be able to target your searches to wade through less chaff. If you've already tried using the "exact search" checkboxes next to the fields; searched birth, death, and residence places; used wildcards in names that could be spelled different ways; or tried to narrow by relationship with another person, location, or type of record already, you still have other options that can make your search more fruitful. A general search almost always turns up too many possibilities unless the search contains someone with a very unusual name. For best results, start by choosing a country to find collections, via the location search, or by browsing by location down to a particular record collection (e.g., North Carolina Deaths, 1906–1930). When you have the collection open that you want, you can use the "narrow by" technique within each collection (e.g., use parent surnames only to find married female children in the N.C. Deaths collection). The more possible places and connected names that you can try, the more meaningful your results will turn out to be. Take notes on the title and years of the collection you're searching, in relation to whom. If the collection is missing records from certain years, you'll know what you've been able to check—and what you haven't—because those missing records could come online or become searchable one day. The records might not have everything in them that you've typed into the "narrow by" fields if you've used multiple boxes, so it might not come up even if it's there. Try the search multiple ways, varying what fields you try to refine by. Use different combinations of fields. FamilySearch recognizes both the "*" wildcard (replaces one or more characters) and the "?" wildcard (replaces a single character). Wildcards can be placed anywhere within a field (even at the beginning or end of a name), and wildcard searches work both with and without the "exact search" checkboxes being used. You can use "and," "or," and "not" in your search fields as well as quotation marks to find exact phrases. After your search has returned a list of results, click on the little upside-down triangle to the right of each search result to open a more detailed preview. This reduces your time spent, versus clicking back and forth between the results list and the result pages. If you're searching across multiple collections at one time, use the "Category" list in the left-hand navigation bar to narrow your results by category. This is useful for filtering out census records, for example, which often end up topping results lists. After you've narrowed to a particular category ("Births, Marriages & Deaths," for example), the left-hand navigation bar will list record collections within that category, with the number of results that match your search query next to each collection title. Many collections at FamilySearch are only partially searchable at any given point in time (and many are not at all), but this information isn't always easy to determine from the collection list. Even if a particular collection is searchable, compare the total number of searchable records listed in the Collections List with the total number of records available by selecting the record set and scroll down to see the number of records listed under "View Images in This Collection." In many cases, you will find many records available for browsing that aren't yet included in the searchable index. A child's birth record can find information about his or her parents. Or, being the more recent document about the person, a death certificate could also contain his or her birthdate, if the birth certificate (or "vital record" or "civil registration") is elusive. If you're searching for Robert, don't forget to try Bob. Or Margaret if you search for Peggy, Betsy for Elizabeth. Try both the maiden name and married name for women. Hundreds of thousands of volunteers have generously donated their time to help to index the collections through FamilySearch Indexing. If you're interested in volunteering, the software is easy to download and use, and instructions are well thought out and generally self-explanatory. A little of your time can help get that genealogy record online for someone else who is searching for it.